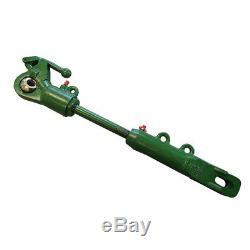 One New Aftermarket Replacement Complete John Deere 3 Point Hitch Adjustable Lift Link Assembly that fits Tractor models: 820, 830, 940. 1020, 1040, 1120, 1130, 1140, 1520, 1530, 1630, 1830, 2020, 2030, 2040, 2120, 2130, 2150, 2240, 2255, 2350, 2355, 2440, 2550, 2555, 2630, 2640, 2750, 2755, 2840, 2855, 2940, 2955, 3055, 3155. With Non-telescoping 3 Point Arms. Assembly consists of Part Numbers L28374 & AR48595. Sale Depends on Stock at the Time. Only the 48 contiguous States in the U. 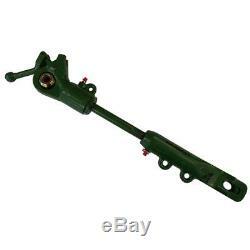 The item "3 Point Lift Link John Deere 820 940 1020 1140 1530 2020 2150 2640 2940 3155 ++" is in sale since Tuesday, November 01, 2011. This item is in the category "Business & Industrial\Heavy Equipment Parts & Accs\Antique & Vintage Equip Parts".